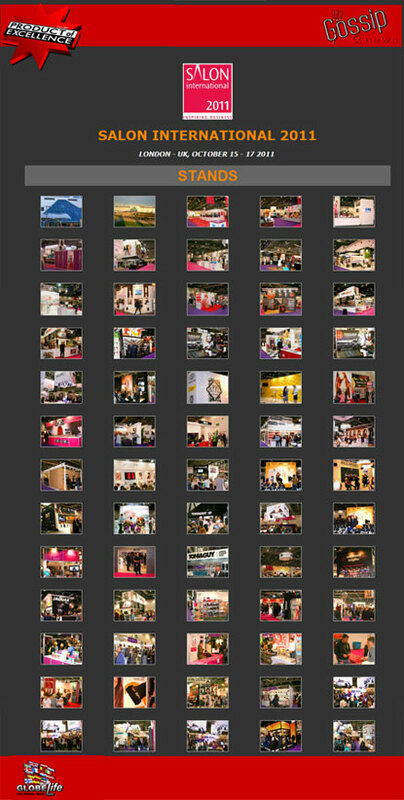 Great success within Exhibitors and Visitors for Salon International 2011 in Excel London, as every year in Autumn. The Londoner Fair was an opportunity of meeting and to do business for the Operators of the Hairdressing sector from all over the world. 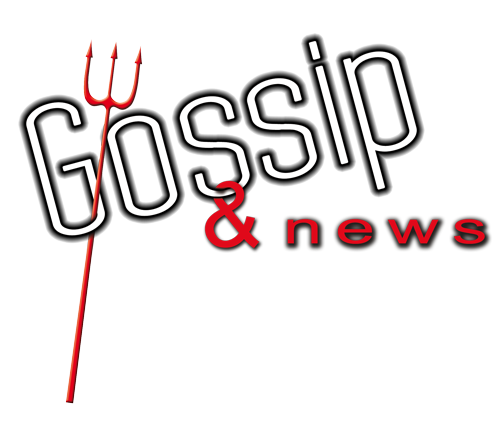 Click to discover the stands. 1st lady; Acumag; Additional lengths; Affinage; Ales International; Alfred Frank and Bartlett; Alpha tool; Alternative hair; Amargan; Andis; Arthur the Hairdressers Friend Company; Artist Lengths; Aston & Fincher; Axel; Babyliss Pro; Balmain Hair; Barber Blades; BH Herb Club; Bindi; BMAC Scissors; Bona Hair; Bravo Impex; Brazilian Blowout; British Barbers’ Association; Choi’s Accessories; Cool Herbal; Corioliss; Crownbrush; D&L; Dar Yaw; Denman; Diana The Hunter; Digital Perm; Dimples; Diva Professional Styling; Dols Industrial; Dowa; Dream Girl; Dream Workwear; Earthly Body; Easydry; Echo Centre; EI Hair Extensions; Fabricsmart; Fem Company; Flip-in Hair; Frisco&Cliff; GE Betterton&Co; GB Service; GHD; Gisela Mayer; Glamtech; Global Keratin USA; Habia; Hair Couture; Hair Development UK ltd; Hair Flare Llc; Hair Thinking; Hair Tools; Harutake Scissors; Haz Beauty; Helen E Hair; Hercules Sagemann; Hiliss; Ilios; Inoar UK; Iso Beauty; Itec; Iza Hairpin’s; Jack Dean; Jgr UK; K CO; Kamisori Elite Shears; Kaos; Kent Brushes; Keraspa; Kerastraight; Keratherapy; Kevin Murphy; Kingwell Universal; Kiss Products; Lash Perfect; Life-Like; M A Awan Surgical; Macadamia Natural Oil; Majestic Towels; Maletti; Milk Shake; Mirakel; Montage; Moroccanoil; Natraj; New Cid; Omg Nails; Omygod; Oris Group; Patrice Guyard; Paul Mitchell; Peggy Sage; Phorest; Premier Epos; Proedge; Pro-kutz Scissors; Rand Rocket; Rem; Robert Calvin Extensions; Saco Hair; Saks Design; Salon Supplies; Salonbooker; Salons Direct; Samurai Scissors; Sassoon Academy; Scissor Xperts; Scissorhands UK ltd; Scissorlab; Sens.Us; Shaan Honq Int’L; Sheersense; Silver Fern; Sleek Makeup; Slux International; Soulglow; Stargazer; Steiner Training; Straight & Curlies; Studio Mila; Takara Belmont; Tashi; The Cloud; The School of Hairdressing; Toco; Toni&Guy; True Keratin; Uber UK; Unique Beauty; USA Hair Extensions; V W Hair Design; Vicinity Global; Vicki Ullah; Vogue Hair lab; VTCT; West Beauty UK; White Again ltd; Xperthr Business Clinic; Ybera. 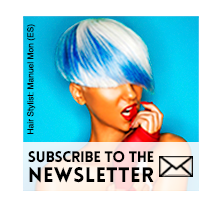 Salon International’s success was made by people who contributed with their effort and work. Here some of them. Here some fashion shots captured. Pictures rapresenting not only models but glam people too. 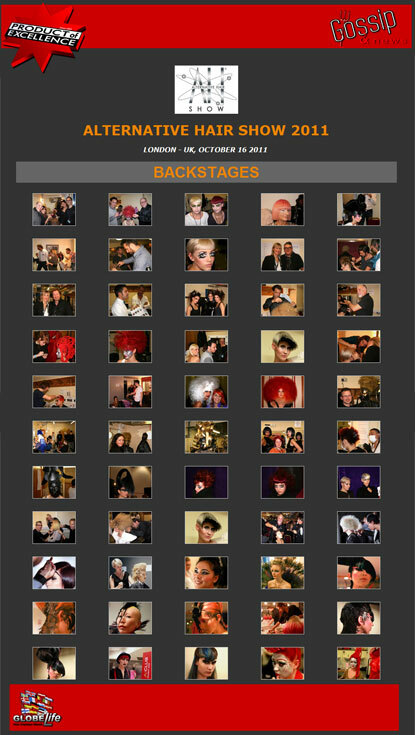 At Salon International 2011 there were many important shows, first of all Alternative Hair Show and inside this Visionay Award. With the contribute of photographer ANDREA MANNI. The 29th Alternative Hair Show triumphed yet again at the Royal Albert Hall, on Sunday 16th October 2011, presenting awesome shows and raising £190,600 for Leukaemia and Lymphoma Research, a terrific sum to augment the £8 million raised over the past 28 years. 18 creative show teams from England, Australia, Ireland, Russia, Italy, France, Japan and Hungary took to London’s Royal Albert Hall stage to present their individual interpretations of the 2011 Alternative show theme: Illusion. At Alternative’s International Visionary Award (which showcases fresh creative talent) 15 models presented a myriad of outstanding avant-garde creations, from huge furballs and exaggerated Mohicans to sleek colourful geometrics and asymmetric towers of hair. First place went to Marco Lamberti, Italy; second place to Bruno Marc Giamettei, UK and third place to Sonia Danaher, Ireland. Excel London, Saturday 15th, Sunday 16th & Monday 17th October. 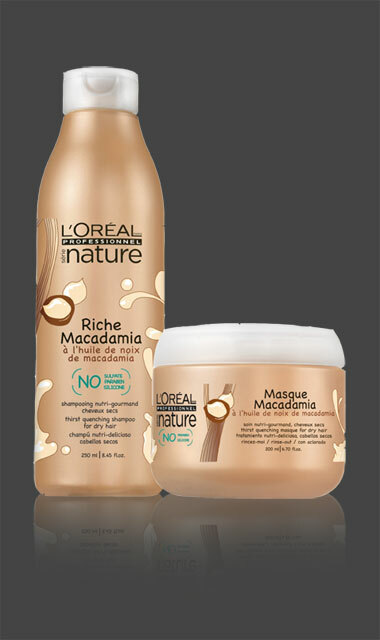 SÉRIE NATURE RICHE MACADAMIA è la linea di L’ORÉAL PROFESSIONNEL per capelli secchi, a base di olio di macadamia. Studiata per garantire il massimo nutrimento senza appesantire la chioma, tutta la linea è priva di solfati nel pieno rispetto dell’ambiente. After three years as general manager of TIGI Australia, Mark Thompson has been recruited as general manager, TIGI UK. Mark said: "The klowledge that I have acquired working in australia will be invaluable in my future role. Returning to the UK is an incredible proposition. I am really looking forward to the opportunity of working closely with the UK team".